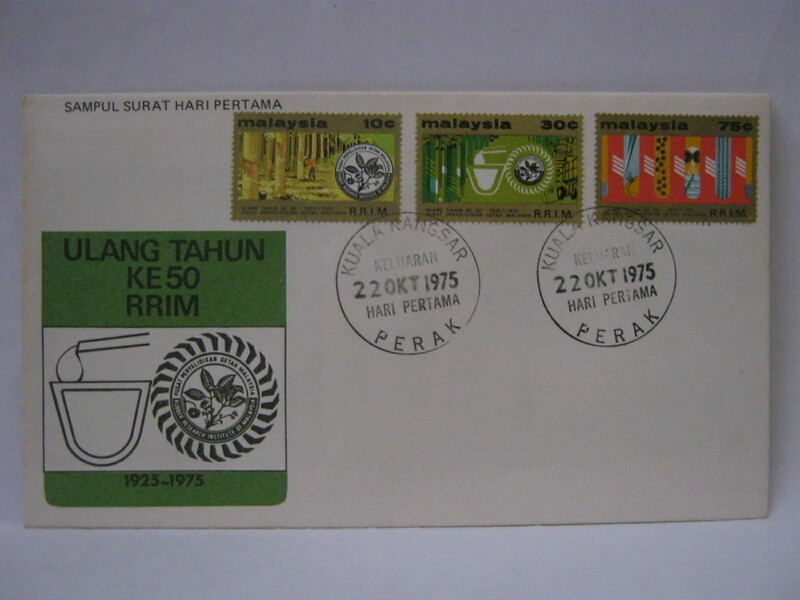 This FDC was cancelled in Pekan. It is a very rare FDC. 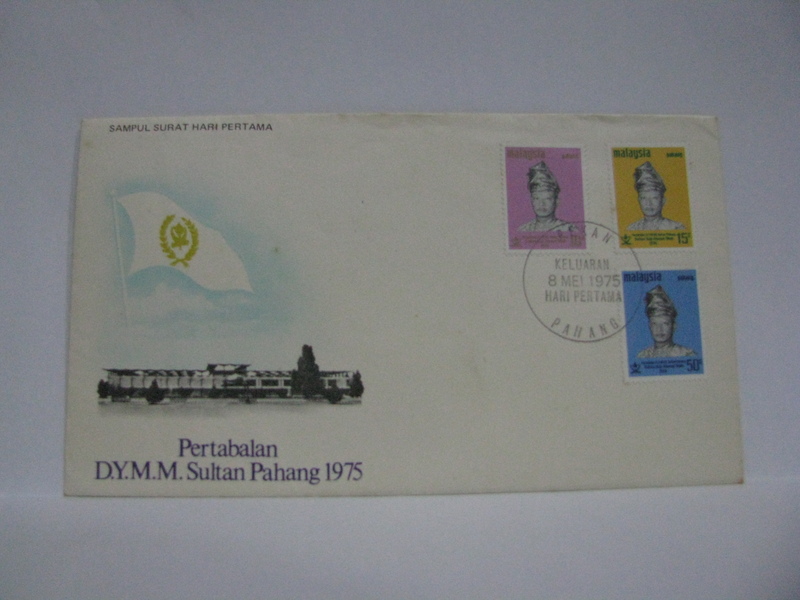 This FDC was cancelled with the special Stadium Merdeka cancellation. Stadium Merdeka was the venue of the competition. 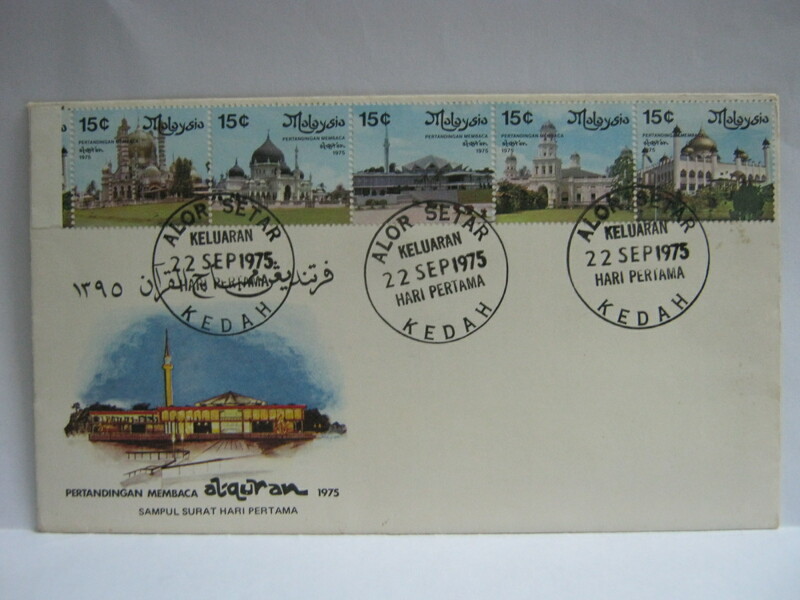 This FDC is cancelled in Stesyen Keretapi Kuala Lumpur (Kuala Lumpur Railway Station) which is the nearest post office to the National Mosque. 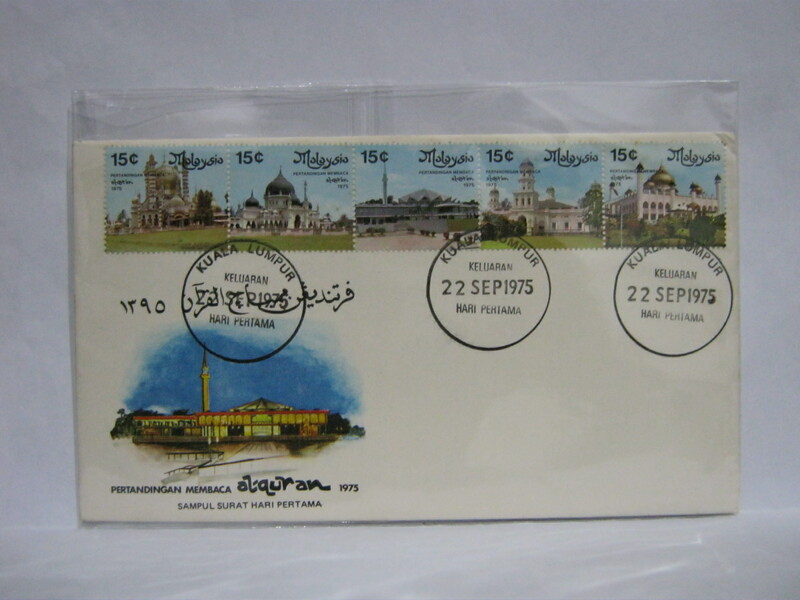 Here are the FDCs cancelled in the locations of the mosques featured on the stamps. The images are shared by KH Chung. 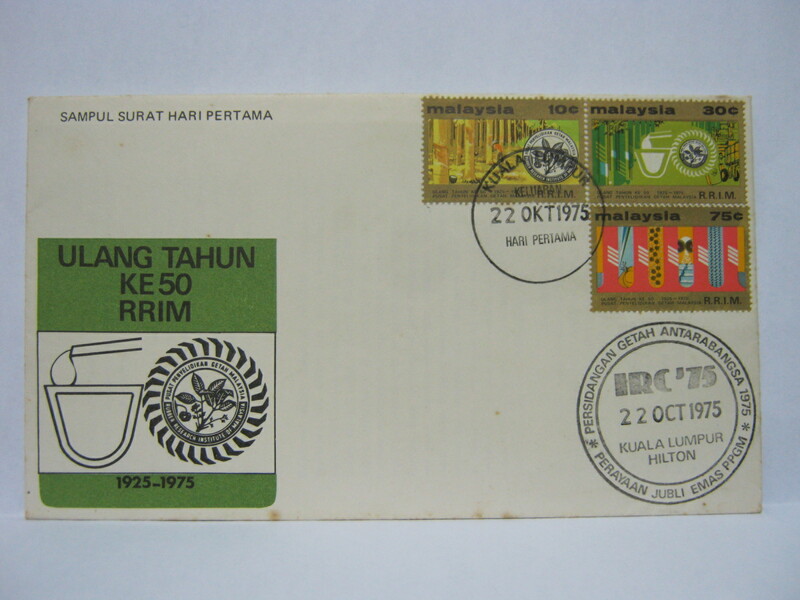 This FDC was cancelled in Lapangan Terbang Subang (Subang Airport). RRIM is near the Subang airport. 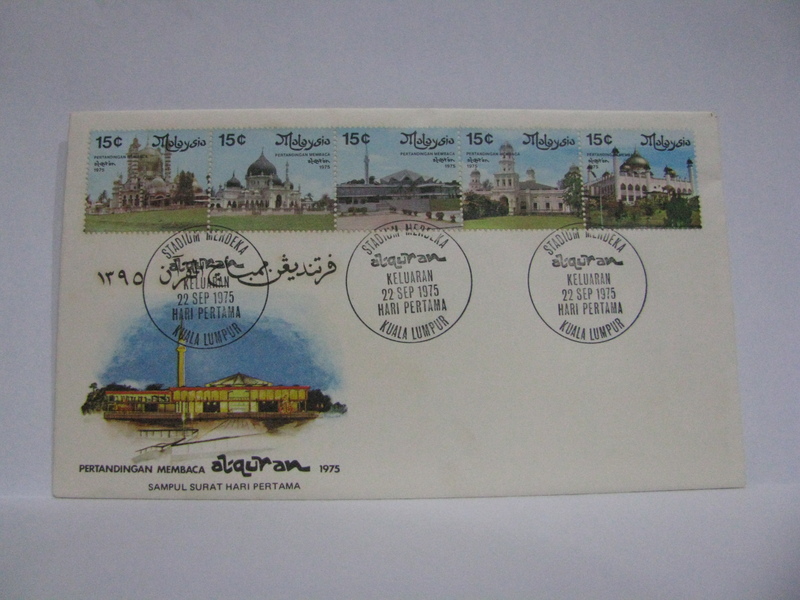 This FDC was cancelled in Kuala Kangsar. 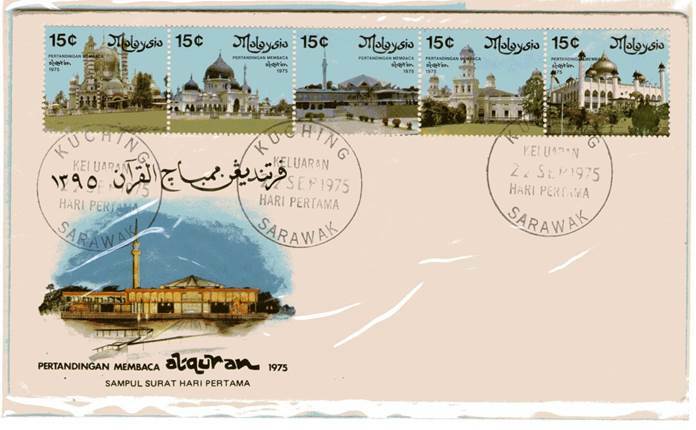 Kuala Kangsar is the location of the first rubber tree in Malaysia. 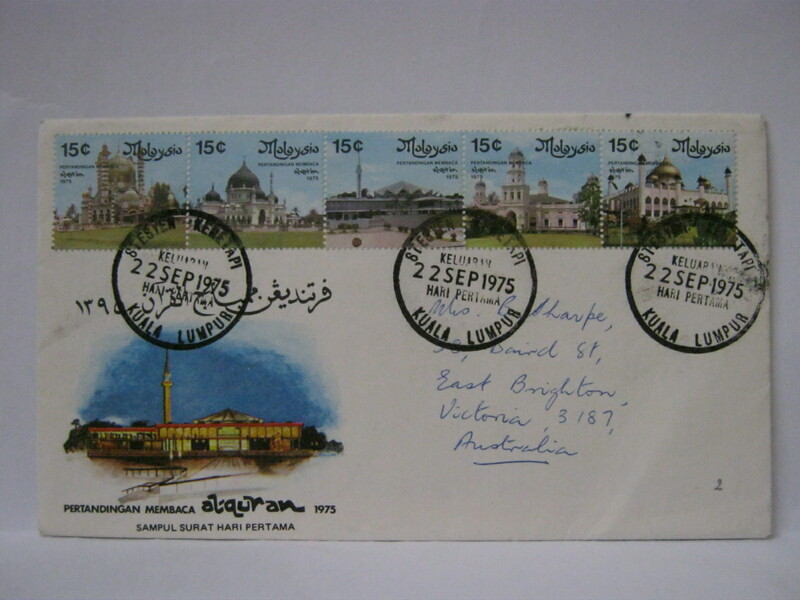 This FDC was cancelled in Kuala Lumpur and the International Rubber Conference venue in Hilton Hotel. 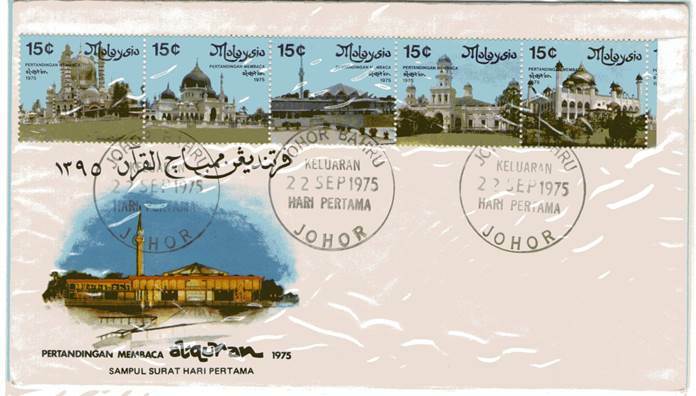 The conference was held from 20 – 25 October 1975. 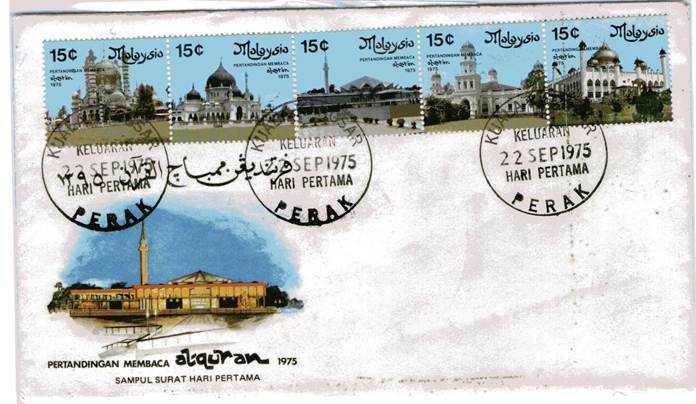 Still looking for the mosque fdc with Alor Setar cancellation.